Programmable Logic Controllers (PLCs) are an integral part of logistics systems. They perform many functions, providing a variety of analogue and digital input and output interfaces, signal processing and various communication protocols. Only a system integrator with thorough knowledge and expertise in this field can ensure that the logistics system is fully integrated and truly operates in real time. At Inther, we have many years of in-depth experience with designing and engineering/reengineering mechanized systems within automated warehouses. We are experts in the integration of control systems within dominating or adjacent systems (WMS, ERP). To ensure that mechanical systems are precisely orchestrated and fully functioning, it is absolutely vital to control the lowest possible input/output (i/o) levels. Our clear and standardized approach to the controls topology enables the use of remote i/o islands, where communication with field equipment, weighing scales, etc., is applied according to the latest profinet bus technology which is a TCP/IP-based standard. 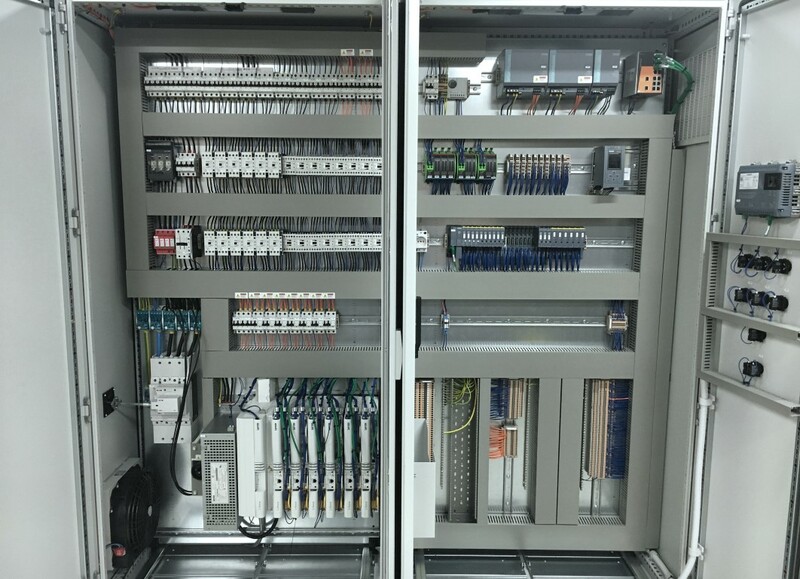 As a system integrator, we mainly work with Siemens PLC equipment as our starting point. We have vast experience with the S7 300-400 range and the 1200-1500 range, with the latter being programmed via TIA Portal. At Inther, we are used to working in live business environments in which costly technical problems and machine downtime must be avoided. Extensive testing and well-prepared failure scenarios including remote access are crucial to guarantee uptime. This is where our highly skilled service department makes all the difference.